Toyota just announced a new, “Ultimate Performance” Toyota 86 and it is rocking some gorgeous Red Shoes! 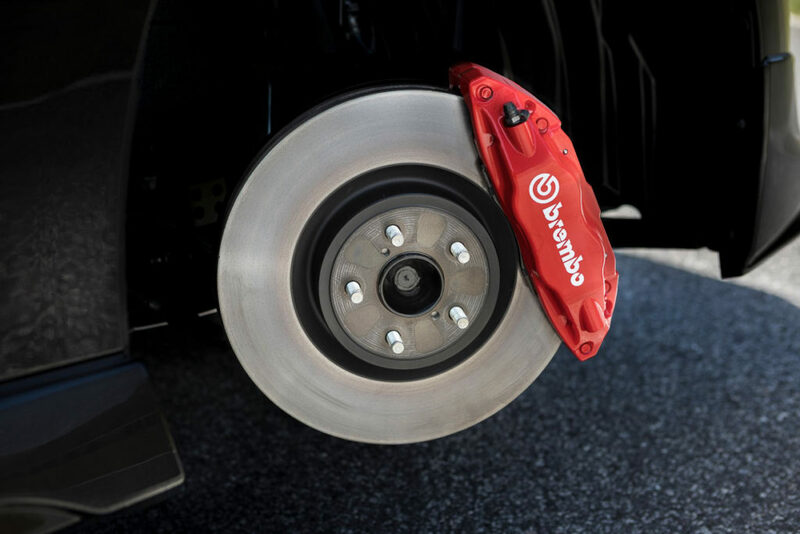 No no not some Christian Louboutins, but rather a nice, baller-like set of Brembo Brakes. 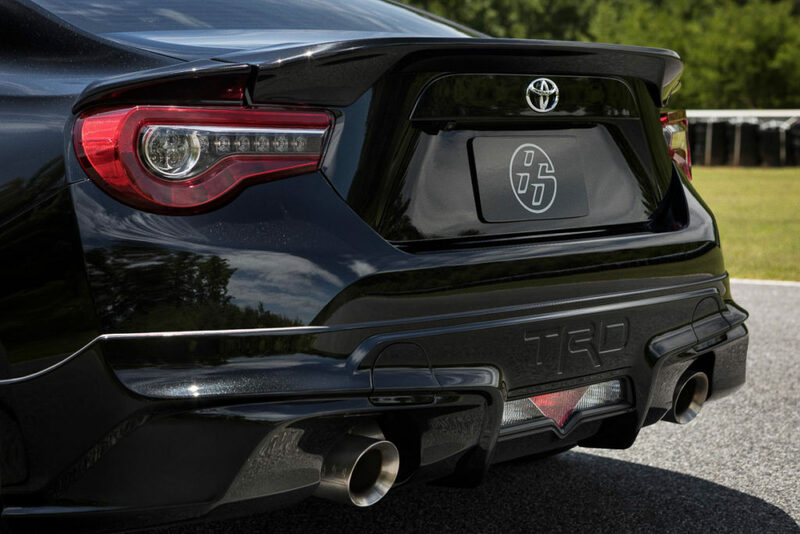 Yes the new Toyota 86 TRD Special Edition is what Toyota is calling their ultimate performance model in the US. This new version of the 86, previously called the Scion FR-S , now dons the aforementioned Brembo Brakes, a better set of SACHS dampers, a body hugging TRD Body Kit, super sticky Michelin Pilot Sport 4 Tires, Unique Design Details and TRD Exhaust. All but the “Unique Design Details”, truly will enhance the performance and handling of this already nimble car. The 4 piston front and 2 piston rear Brembo Brake calibers will be complimented by front 12.8 and Rear 12.4 inch rotors adding an insane amount of stopping power to car that really isn’t that powerful. Perhaps the TRD engineers knew that kids would be boosting these cars to well above the 205HP that this car is rated at. 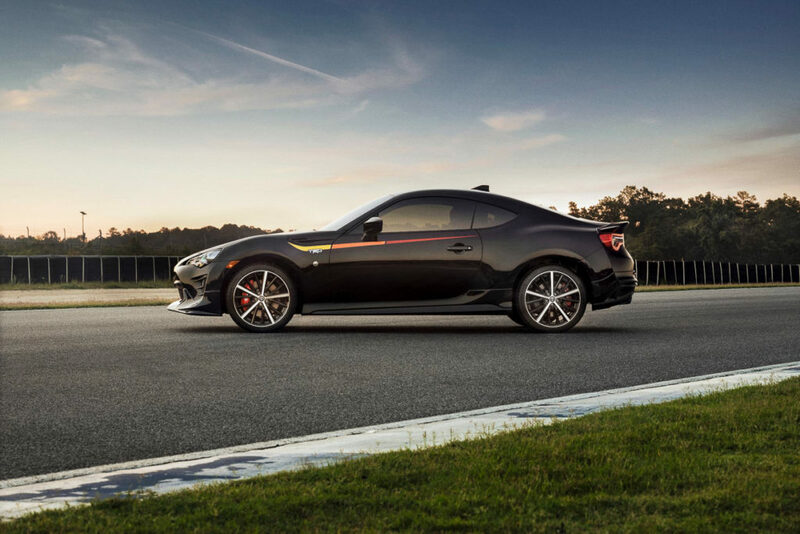 Adding to the nimble and autocross appeals of the car, the 86 TRD Special Edition will also come with SACHS dampers and extremely summer-friendly Michelin Pilot Sport 4 Tires. This combination will help with less than desirable road conditions and also keep the rear-happy 86 stuck onto the road. We’d imagine that drifting or trying to peel-out with this 86 would be tough anyway considering the choice of tires and 17 inch wheels doesn’t really give way to sliding. Aside from the performance add-ons, this version of the 86 will only come in Raven Black and with a few aesthetic goodies that should help seal the deal for potential 86 buyers. The car will don a new style of TRD body kit similar but less aggressive than the TRD FRS Bumble Bee-look-alike kit released a couple of years ago. 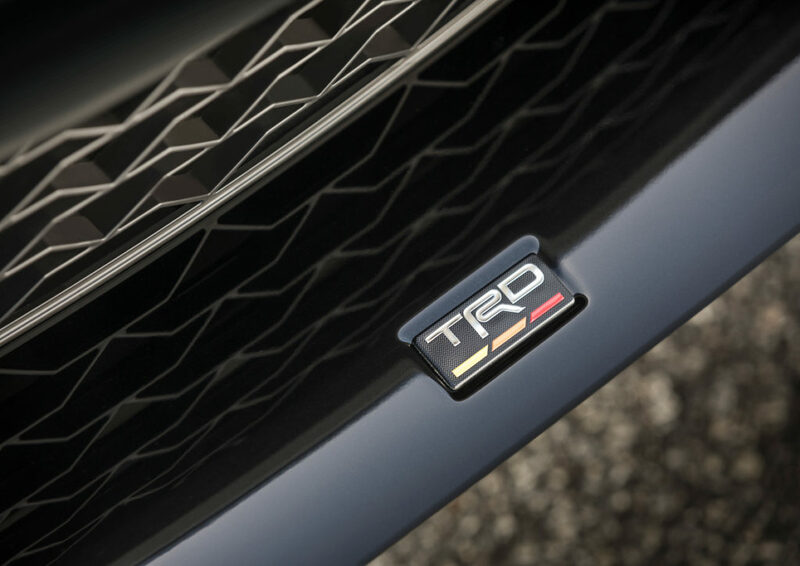 It will also have a shinier TRD exhaust system to compliment the rear-kitted car. All in all these mods truly add a bit of character to the car, however incremental they are. 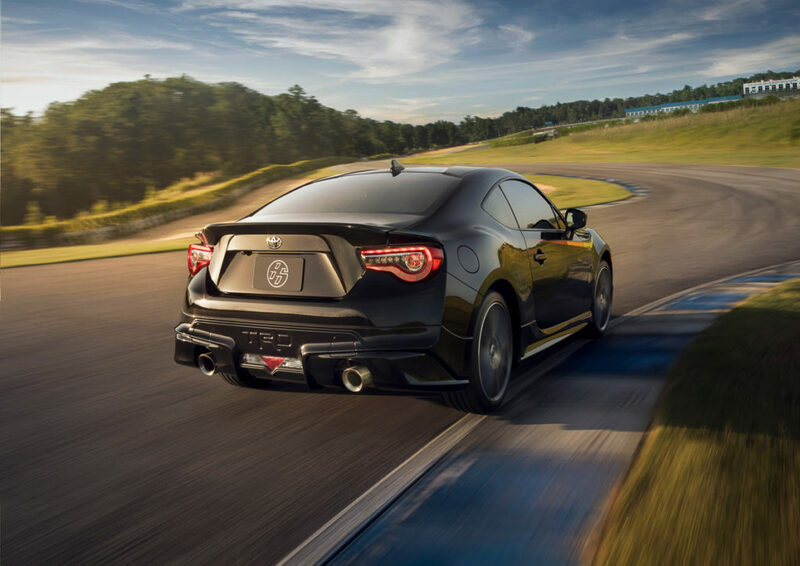 The TRD 86 special edition will be out in August of 2018 for the great price of $32,420, giving buyers one or two short months to truly enjoy those Michelin Pilot Sport 4 Tires. That is, unless you live in SoCal like us!